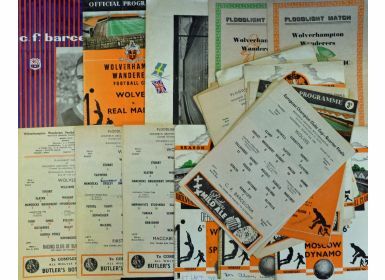 Selection of Wolverhampton Wanderers home match programmes 1946/1947 Norrkoping (Sweden), 1953/1954 South Africa (1st floodlit match), Celtic, Racing Buenos Aires, 1954/1955 First Vienna, Maccabi Tel Aviv, Spartak Moscow, Honved, 1955/1956 Moscow Dynamo, San Lorenzo, 1956/1957 Roumania, Red banner, Borussia Dortmund, Valencia, 1957/1958 Real Madrid, 1958/1959 South Africa, Schalke 04, 1959/1960 Vorwarts, Red Star Belgrade, Barcelona plus away match programme 1959/1960 Barcelona. 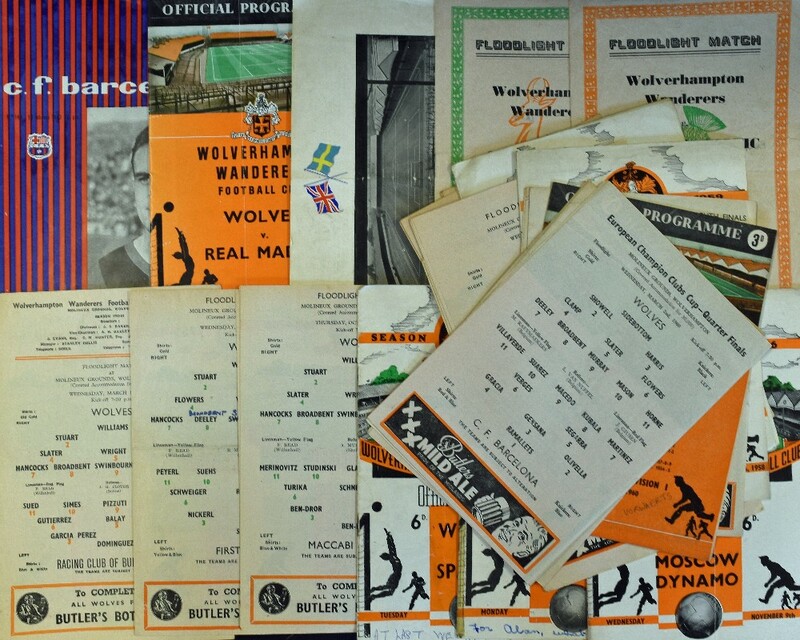 (21 in 1 binder). Condition varied, view to assess.